A public hearing on the persecution of Falun Gong (also known as Falun Dafa) in China was held in the Zahán Salon inside the Valdštejnsky Palác on November 19, 2018. The hearing was proposed by Czech Senator Chaloupek as the first step in drafting a resolution. The hearing was held in response to the 40,000 signatures submitted to the Czech Republic by the Falun Dafa Association last April. 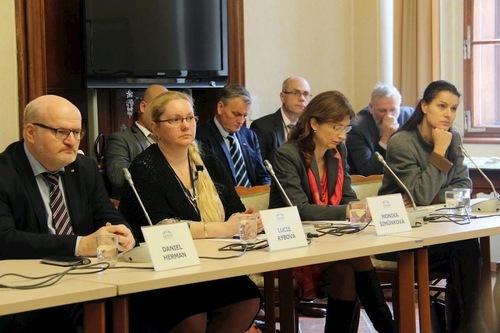 The hearing attendees included the media, human organ trafficking investigators, medical ethicists, an economics analyst, a member of the Czech Helsinki Committee, a representative from the Foreign Affairs Ministry, and victims of the persecution in China. Public hearing on the persecution of Falun Gong. 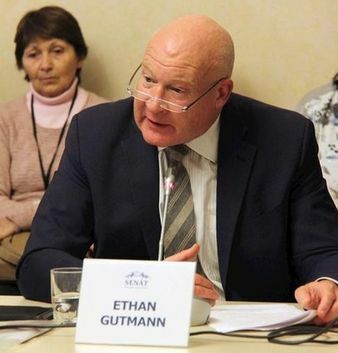 Mr. Ethan Gutmann, an American reporter and author of “The Slaughter,” presented his investigative report on the persecution of Falun Gong practitioners in China. He focused on the crime of organ harvesting. Investigator and reporter Ethan Gutmann. Ms. Yumei Liu described how she was detained and tortured in China because she practices Falun Dafa. Representative Haiyan Wang from the World Organisation to Investigate the Persecution of Falun Gong also testified at the hearing. Czech Falun Dafa practitioner Milan Kajínek spoke about the persecution from the beginning to the most recent developments. Researchers from the Sinopsis Institute Kateřina Procházková and Anna Zádrapová spoke about China’s human rights violations regarding Falun Gong practitioners and other minority groups. Lukáš Kudláček, financial adviser and analyst, talked about how China uses foreign investment to silence Western countries from criticising its human rights violations. 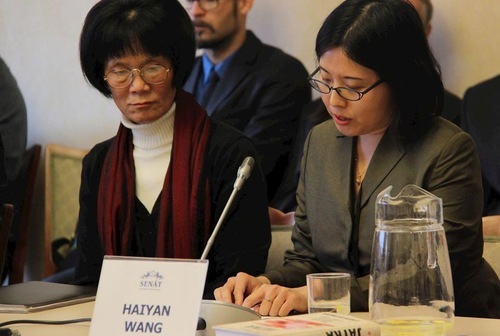 Torture victim Ms. Yumei Liu (left) and Representative from the World Organization to Investigate the Persecution of Falun Gong Ms. Haiyan Wang. After the testimonies and presentations, members of the Czech Helsinki Committee Lucie Rybová and Monika Šimůnková spoke to support drafting the resolution. Also in attendance were former Minister of Foreign Affairs Mr. Daniela Hermana, Senator Marek Hilšer, medical ethicist Jan Payne, and activist Jan Šinágl. A representative of the Ministry of Foreign Affairs, Dr. Lukáš Kaucký told attendees that Europe should pressure China to improve its human rights situation.